Vivekananda Rock Memorial and Vivekananda Kendra, Kanyakumari established education centres in Arunachal Pradesh which had very low literacy rate amongst women. The Kendra is engaged in a large variety of services like Spirituality and Social Development as an integral mission in accordance with long traditions and noble thoughts. It is engaged in educational service running 63 schools with about 22,000 students in six states in India. Besides imparting education, the Kendra takes great care in providing for the poor and the needy while at the same time maintaining high academic and moral standards. The Kendra is also running 5 Skill Training Centers for women enabling them to become self-employed and two hospitals for the poorest of the poor in the border areas of Assam and one hospital in Madhya Pradesh to look after the health and hygiene of the poor. Under their ‘Anaupcharik Shiksha Manch’ they are running 400 Balwadis, Balasevika Prashikshan Shibir, organising Sanskar vargas for school dropouts, running Anandalayas for school dropouts and slow learners and organising cultural competitions for rural children. 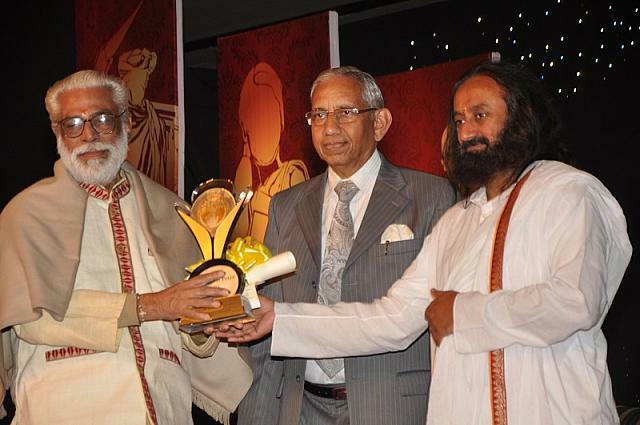 Vivekananda Rock Memorial and Vivekananda Kendra, Kanyakumari, is awarded ‘S R Jindal Prize – 2012’ at the hands of Gurudev Sri Sri Ravi Shankar ji jointly with ‘SOS Children’s Villages of India, New Delhi for their exceptional achievements in the field of Education - with emphasis on moral upliftment. This Award carries a Cash Prize of Rs. 1 Crore to be shared equally.